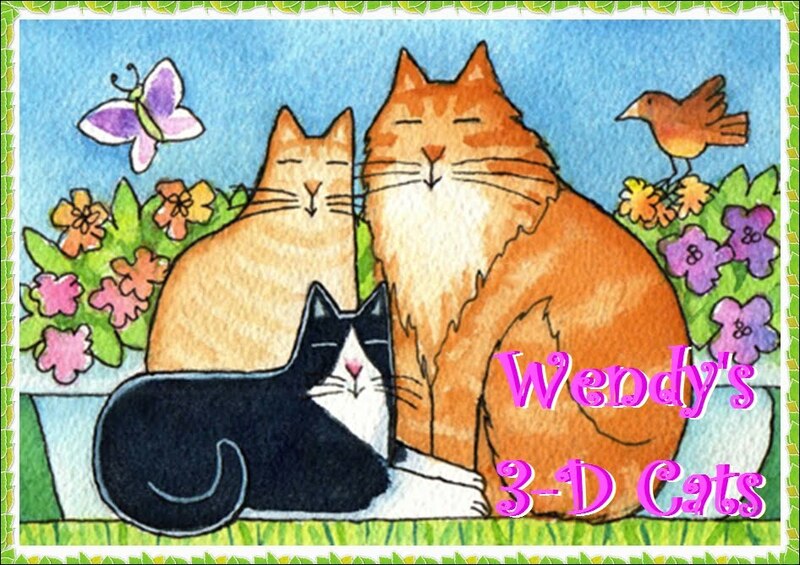 Wendy's 3-D Cats: 3-D CATS' FRIENDS WEIGH IN! The 3-Ds are at it again -- wearing hats while being cats! 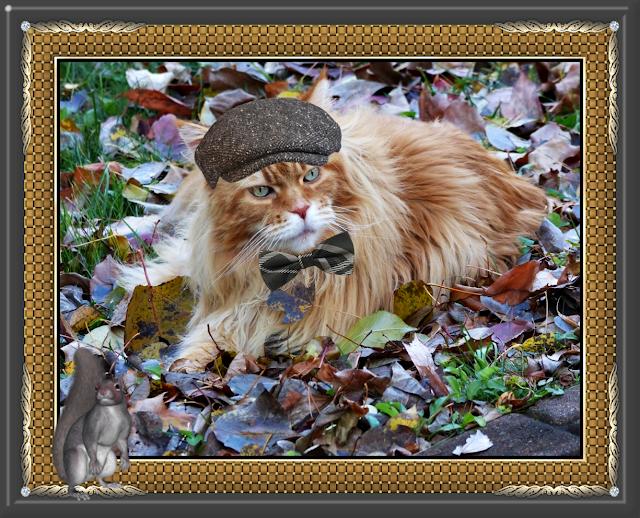 Dante is wearing a charcoal tweed flatcap on his gorgeous red head, with a dark and light gray wide-striped bowtie. 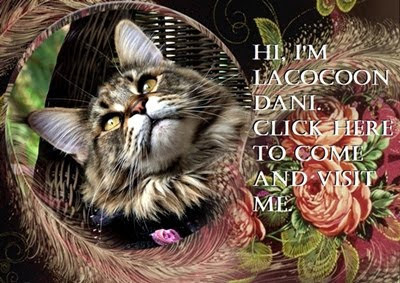 Dante thinks he looks quite dappurr and dignified. ... as he hotfoots it outta there! 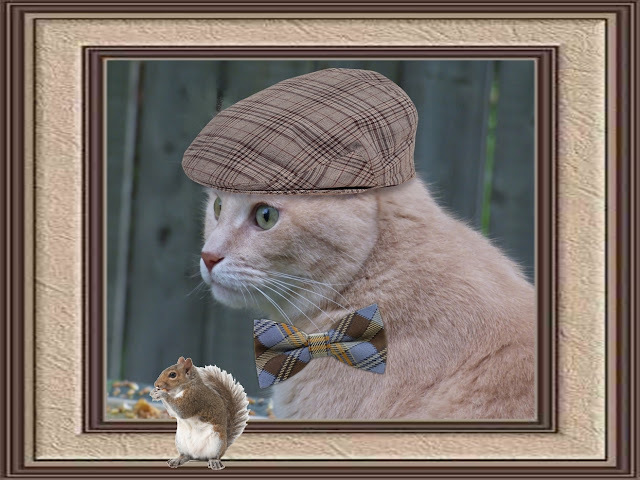 Dylan is sporting a taupe and brown plaid flatcap which goes so well with his overall colouring. He has added a brown, blue and orange plaid bowtie in coordinating tones for that little bit of "je ne sais quoi". ... he hightails it outta there! "So long suckah!" he yells as he flees. Meanwhile Domino is at home, all dressed and ready to go out. 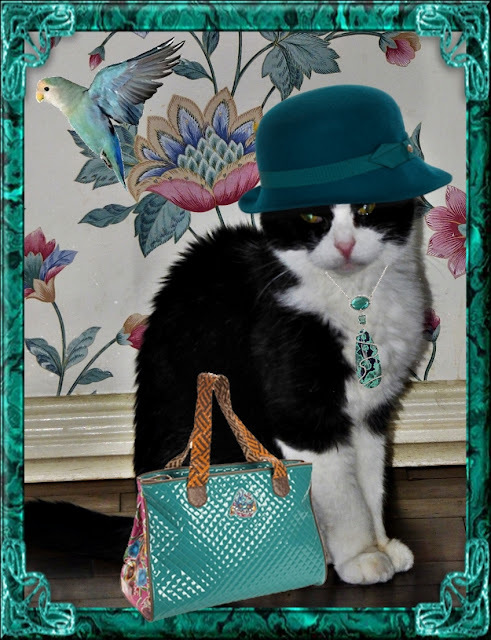 She is wearing a dark teal wool cloche hat on her pretty little head, and a silver necklace with a black and teal pendant, and a coordinating handbag, Such fashion! Her pet parakeet is her biggest supporter and thinks Domino is simply divine! He has the last word about her before flying off to safety. "Domino's a Diva -- squawk!